Fortnite developer Epic Games has explained some of the thinking behind recent controversial changes, such as weapon swapping delays and the exploited Guided Missile. 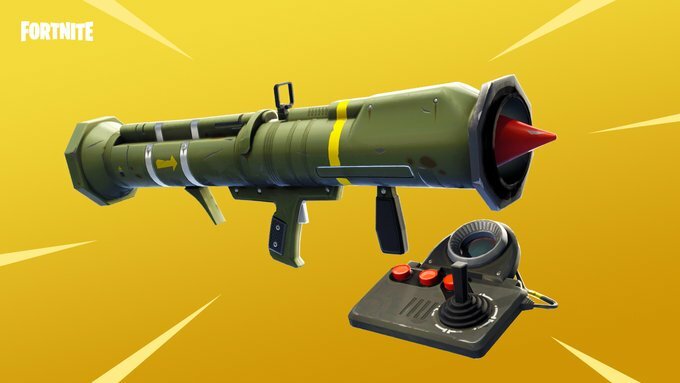 To start with, Fortnite’s developer announced that the Guided Missile will be sent to the vault for the time being. Sending an item to the vault means it will no longer be available in the game until Epic decides to bring it back. The Guided Missile may have produced hilarious moments, but Epic ultimately felt it wasn’t very fair to some players. If and when it returns, it may play differently from how it previously did. Another controversial item was the addition of weapon swapping delay in patch 3.5.1, or more accurately, weapon equip times. Epic did not delay all weapon swapping, it only added a new equip time for certain weapons that it admits made things a little sluggish. “We recently introduced weapon equip times. This change was geared towards balancing quick switching between different weapons with low rate of fire (effectively bypassing the drawbacks that make these weapons fair),” the developer explained on Reddit. In a hotfix, Epic will be reverting equip times for snipers and crossbows to their pre-patch values. Unfortunately, you can still fire a shot before the swapping animation is done with some weapons, which looks broken. The rest of the game’s weapons do not have equip times, but Epic knows this is only a temporary fix. The studio is working on changing weapon swapping altogether to be more consistent with the animations, but this will take time. If you missed it, Light Machine Guns were recently found in Fortnite game files, alongside leaked week 9 challenges.